I believe that one of the biggest reasons that the body of Christ hasn’t made a greater impact on our generation today is because of our failure to operate in the gifts of the Holy Spirit. Without a doubt, Jesus and the first apostles used the gifts like a bell, calling men to their message and confirming that God was truly the One speaking through them. In Mark 16:17-18, Jesus said all true believers would flow in the miraculous: “And these signs will follow them that believe; In my name shall they cast out devils; they shall speak with new tongues; They shall take up serpents; and if they drink any deadly thing, it shall not hurt them; they shall lay hands on the sick, and they shall recover.” If a Christian’s life isn’t supernatural, it’s superficial. Jesus even said, “If I do not the works of my Father, believe me not” (John 10:37). That’s a strong statement. If we were to apply that standard to ministers today, most wouldn’t be believed. The vast majority of preaching done in the name of the Lord today is without the power of the Holy Spirit manifest through the gifts of the Holy Spirit. This is not the way the Lord intended it to be. The “main line” denominations have developed doctrines to cope with this obvious discrepancy. However, regardless of the rationale, it’s absurd to think that we can be effective without the power of the Holy Spirit confirming the preaching of God’s Word. If Jesus and the early apostles needed their preaching validated, how can we do any less? Even the non-denominational churches have fallen away from ministering in the gifts of the Holy Spirit. The gifts that operate in most “Spirit-filled” churches are simply words of exhortation or prophecy. There is much more. The Lord has used the gifts of the Holy Spirit mightily in my life and ministry to confirm His Word. There are countless times when people were still skeptical after hearing me teach, but the demonstration of God’s power through the gifts turned them into believers. It’s like the teaching fills their mouths with God’s Word, then the gifts of the Holy Spirit slap them on the back and make them swallow it. Hallelujah! One of the most important steps to flowing in the gifts of the Holy Spirit is to earnestly desire them. Paul said in 1 Corinthians 12:31, “But covet earnestly the best gifts.” He repeated that thought in 1 Corinthians 14:1 when he said, “Desire spiritual gifts.” Another way of saying this is, as long as you can live without flowing in the gifts of the Holy Spirit, you will. You have to seek these gifts with all your heart (Jer. 29:13). It’s also very important to understand that the gifts of the Holy Spirit are always flowing. God doesn’t turn them “on” and “off.” We are the ones who are “on” or “off.” That’s a startling statement to many people and one that verges on blasphemy to some, but it’s true. 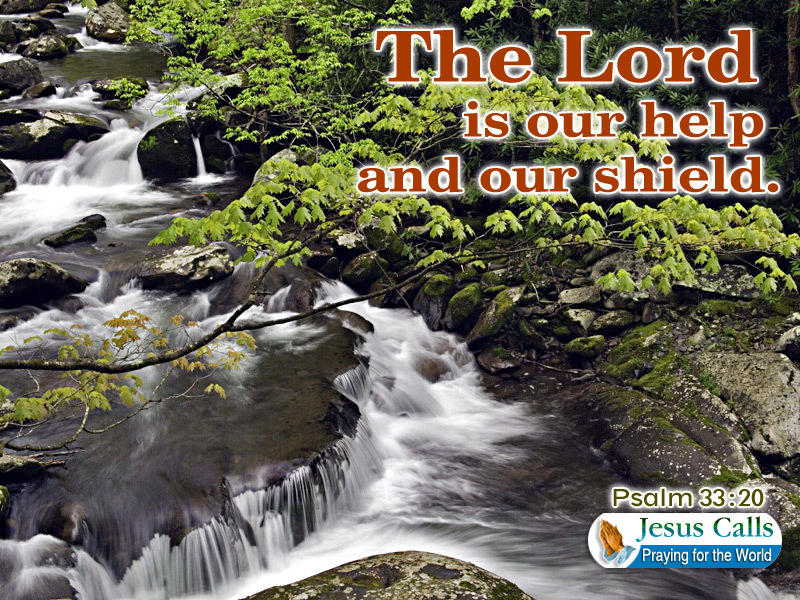 The Lord is always ready to flow through us in the gifts of the Holy Spirit. It’s just like praying in tongues. We don’t have to wait for the anointing of the Holy Spirit to come on us to speak in tongues. We can pray in tongues at any time. It’s not us turning on the Holy Spirit. The Holy Spirit is always on and giving us the ability to speak in tongues. Therefore, whenever we turn ourselves on, the gift of tongues is there to allow us to communicate with our heavenly Father. Praise the Lord! That’s the way it is with all the gifts. I remember one time that I was teaching along these lines in our Charis Bible College. One of the students said, “So, you are saying that you can flow in the gifts of the Holy Spirit at any time?” I said, “That’s right and I’ll prove it to you.” I then started down each row and just started “reading the students’ mail. I was telling them things that had to be coming from the Holy Spirit. It was awesome. Another great truth about flowing in the gifts of the Holy Spirit is what John Osteen called “the divine flow.” This is based on, “God is love” (1 John 4:8). Therefore, whenever we discern the love of God flowing through us toward someone, God is reaching out to them through the gifts of the Holy Spirit. All we have to do is follow that flow through faith. Once when I was pastoring a little church in Pritchett, Colorado, my heart just went out to a woman in the back of the room. I’d never seen her before, and there was nothing natural that drew me to her. It was just the love of God flowing through me to her. Because of that love alone, I told her that God had a word for her. I didn’t have one single word to say to her, but I knew God’s love was flowing; and therefore, God and His gifts were flowing to her. I just started by saying, “God loves you.” God then flooded my mind with things to minister to her. It was a long word from the Lord, but I specifically told her about how she was grieving over the loss of someone and was confused about why God allowed it. I kept saying, “It wasn’t God that allowed it. It was the Destroyer.” I said that a number of times. She broke down in tears and was really ministered to. After the service, she told me that she had just lost her son to leukemia. They believed that God allowed this disease. But just before her son died, he saw this huge demon over their town, which the Lord told him was named the Destroyer. They didn’t know how to interpret that until I spoke to them through the gifts of the Holy Spirit and put it all in order. They were set free. This was the word of knowledge and the word of wisdom in operation. God gave the knowledge of what had happened and then gave words of wisdom to instruct them on how to deal with it. This all came because I followed the love that I felt in my heart. This has happened to us all, but most of the time we don’t understand this is a gift of the Holy Spirit, and we miss an opportunity. I’ve learned this the hard way. There was a man who had been my youth director when I was just a young boy. He left our Baptist church before I was a teenager, and I heard how he had been baptized in the Holy Spirit and was seeing great miracles happen. He had one room in his church that was filled with the wheelchairs, crutches, and braces of people who were healed and didn’t need them anymore. During a three- or four-month period of time, I thought about this man often. It was usually while I was in prayer that he would just come to mind, and I would feel the compassion of God toward him. I would just wonder what was happening with him and then dismiss the thoughts. Later, I found that he had died in a freak accident where a red ant bit him on the thumb. As soon as I heard of his death, I knew that the reason I had been thinking of him so often was because the Lord was trying to get me to intercede for him. Over a decade later, I met this man’s son, and I confessed to him my failure to pray for his dad. He told me that I was at least the twelfth person who had told him a similar story. The Lord had impressed many of us to intercede for this man, but none of us recognized it as the Lord. It is imperative that we learn to recognize and flow in the gifts of the Holy Spirit. It’s not only a blessing to us, but the lives of other people may depend on it. You are carrying someone’s miracle. Don’t let it stay inside. You have to learn how to release it. This entry was posted in WALTER'S WEB and tagged christianity, FAITH, FULL GOSPEL, GIFTS OF THE SPIRIT, HEALING, HOLY SPIRIT, JESUS CHRIST, JESUS SAID, VICTORY, VICTORY MINISTRIES, WORD OF FAITH on June 30, 2015 by WALTHOPE. Most of us have had times when we have prayed a prayer of faith, and our prayers seemed to go unanswered. Maybe you got into the Word of God, planted a seed, and prayed for a miracle. Then, nothing happened. The problem is that many people stop believing at that moment. God’s Word says in Mark 11:24, “What things soever ye desire, when ye pray, believe that ye receive them, and ye shall have them.” This is where most Christians stumble. The Bible says to believe when you pray that you have received. This entry was posted in WALTER'S WEB and tagged A MIRACLE, christianity, FAITH, FULL GOSPEL, GIFTS OF THE SPIRIT, HEALING, HOLY SPIRIT, HOW TO, JESUS CHRIST, MIRACLES, PROSPERITY, VICTORY, VICTORY MINISTRIES, WALTER KAMBULOW on June 30, 2015 by WALTHOPE. Acts 8: 4 Therefore those who were scattered went everywhere preaching the word. Most Christians believe that praising God and being thankful is good; however, many think it is optional, something to do after they have served the Lord in other ways. Some Christians only praise God when their circumstances are good and they have a reason to thank Him. The truth is that praising God is not an option. Praise has a powerful effect on the believer, the devil, and on God. It is our highest calling. How does praise affect the believer? When we praise God, we are acknowledging that it is not our own efforts that produce blessings and prosperity. In Deuteronomy, chapters 7 and 8, the children of Israel are told to remember to thank God for the abundance they will receive. God, not their own efforts, gave them wealth. Praise makes us humble. Thanksgiving is also a way to abound in faith. Any time we operate in a high degree of faith, praise is present. Colossians 2:6-7 says, “As ye have therefore received Christ Jesus the Lord, so walk ye in him: Rooted and built up in him, and stablished in the faith, as ye have been taught, abounding therein with thanksgiving.” When you are believing God for something and it is completed, praise is a natural response. What some people often neglect is that they can increase their faith with praise, and their answers will come more quickly. When we pray, we should begin with praise and end with praise. The Lord’s prayer gives us this example, and Philippians 4:6-7 tells us, “Be careful for nothing; but in every thing by prayer and supplication with thanksgiving let your requests be made known unto God. And the peace of God, which passeth all understanding, shall keep your hearts and minds through Christ Jesus.” When you pray with thanksgiving, the peace of God will keep your heart and mind. Praise will build you up spiritually and keep you from crumbling, “for the joy of the LORD is your strength” (Neh. 8:10). The Apostle Paul was persecuted and suffered far more than most of us, yet he put it all in perspective in 2 Corinthians 4:17-18: “For our light affliction, which is but for a moment, worketh for us a far more exceeding and eternal weight of glory; While we look not at the things which are seen, but at the things which are not seen: for the things which are seen are temporal; but the things which are not seen are eternal.” First, Paul said our affliction is just for a moment in light of eternity. He looked into the spiritual realm. Praise will push you into the spiritual realm to see what God has done for you. Paul and Silas praised God in prison. It was the praise that released the power of God and the earthquake that delivered them from their captivity. Praising God doesn’t just affect us; it is a powerful weapon against the devil as well. Psalm 8:2 says, “Out of the mouth of babes and sucklings hast thou ordained strength because of thine enemies, that thou mightest still the enemy and the avenger.” In the book of Matthew (21:16), at the time of the triumphal entry into Jerusalem (Palm Sunday), Jesus quotes from Psalm 8. When he quoted this verse, he interchanged the words “perfected praise” for “ordained strength.” This is a tremendous revelation: Praise is strength (Neh. 8:10)! Some people are so involved in spiritual warfare that their attention is on the devil more than on God. There is a place for fighting and resisting the devil, but focusing too much on the devil is not good. Praise is a powerful weapon against the devil that has no negative fallout. In 2 Chronicles 20, Jehoshaphat appointed singers to lead his army into battle with praise unto the Lord. When they went into battle singing and praising God, the Lord set an ambush, and their enemies were defeated. Why does praise defeat Satan? Satan’s sin was jealousy of God. He is still driven by jealousy today (Is. 14:13-14). Even if he can’t get people to worship him, his goal is to keep people from worshiping God. He seeks to draw attention away from God. When we worship God, we thwart Satan’s plan. We have learned the power of starting a service with praise. Praise makes the devil flee and releases the anointing of God. Even the secular world knows the benefits of praise. The medical profession says that a person who is joyful is more healthy than a person who is morbid and depressed. Praise stops a negative attitude. The most important reason to praise God is that it ministers unto Him. Acts 13 describes a situation at the church in Antioch. Verse 2 says, “As they ministered to the Lord, and fasted, the Holy Ghost said, Separate me Barnabas and Saul for the work whereunto I have called them.” This is an awesome statement. They ministered to the Lord. How do we minister to the Lord? We often think we serve God only by ministering to other people. This happened in Matthew, chapter 8, with Peter’s mother-in-law. She waited on them and did household duties. That is a ministry; however, in this instance in Acts, they were fasting, praying, and ministering to the Lord. They were worshiping and glorifying God. That also ministers to the Lord. The truth is that God desires ministry. God is complete and self-contained, but He needs us to love Him. Any person who loves has a need to show that love and a need to have that love returned. That is the reason for the creation of man in the first place. In Revelation 4, John saw a vision of what is happening in heaven. He saw twenty-four elders and four living creatures that don’t cease praising God. In verse 11, the elders said, “Thou art worthy, O Lord, to receive glory and honour and power: for thou hast created all things, and for thy pleasure they are and were created.” This tells us that God’s original and current purpose for creation is for His pleasure. God created us to be full of praise, joy, and thanksgiving. He is blessed by His creation. I married Jamie because I love her and want to share my life with her. Jamie is an excellent homemaker and keeps a clean house, which blesses our family. However, if she cared more for the house than for me, it would cease to minister to me. It is the same way in our relationship with God. Service is not a substitute for a relationship with God. John 3:16 tells us that God gave His Son that we might have eternal life. Christians often think eternal life begins when you die and go to heaven, but John 17:3 tells us differently. Eternal life is now. Intimately knowing God is eternal life. Praise is a way to begin this love relationship with God. “By him therefore let us offer the sacrifice of praise to God continually, that is, the fruit of our lips giving thanks to his name”(Heb. 13:15). This entry was posted in WALTER'S WEB and tagged FAITH, FULL GOSPEL, GIFTS OF THE SPIRIT, HEALING, HOLY SPIRIT, JESUS CHRIST, PRAISE, VICTORY, VICTORY MINISTRIES, WALTER KAMBULOW, WORD OF FAITH on June 29, 2015 by WALTHOPE. It’s true—they can and they do. Why? Because they really don’t understand what changed when they were born again, and therefore have difficulty receiving the promises of God. The Bible says that every born-again believer has undergone a complete inner transformation. First Thessalonians 5:23 makes it very clear: “And the very God of peace sanctify you wholly; and I pray God your whole spirit and soul and body be preserved blameless unto the coming of our Lord Jesus Christ”. You can feel both your body and your soul and are receiving information from them all the time. For example, if I put my hand on your shoulder, you would know that I touched you. I could also make you feel happy or sad, or even hurt you without any physically contact, simply by the words I speak. Those words are processed by your mind, and the result of their effect is often expressed in your emotions. It’s easy to know how your body feels, what’s going on in your mind, and what emotions you’re experiencing. However, your spirit is much different. It cannot be accessed in any natural way. God’s Word reveals spiritual reality. If you want to know what your spirit is like, you must find out from the Word, not rely on emotions or other perceptions. God’s Word is spirit and life! When you look at your face in a mirror, you aren’t really seeing yourself; you’re viewing a reflection. Even though it’s only a reflection, you have learned to trust it and act on what you see. God’s Word is just like that mirror: it reflects perfectly who you are in the spirit. Although full payment has been made for your glorified body through the death, burial, and resurrection of Jesus, you still have a corrupted body. One day it will be redeemed and changed into an incorruptible one. For now, you still must live in the same body you had before you were saved. This revelation of the relationship of the spirit, soul, and body has transformed my life. When I realized that God had already given me everything I needed and it’s all contained in my spirit, it set me free. All I needed to do was release it. That simple understanding changes everything. This entry was posted in WALTER'S WEB and tagged christianity, FULL GOSPEL, HEALING, HOLY SPIRIT, JESUS CHRIST, MIRACLES, OUR HELP, VICTORY, VICTORY MINISTRIES, WALTER KAMBULOW, WORD OF FAITH on June 29, 2015 by WALTHOPE. God is so awesome. He has been performing so many miracles through my ministry down in Mexico at the crowds are swelling. More and more people are coming all the time and they have been seeing miracles they can hardly believe, causing many to come to repentance . Revival is breaking out here in Mexico. I have preached and minister and prayed in five services in less than 2 days in 108 degree weather and going to my 6th service in a couple of hours. I feel great. Hundreds have been healed, saved and filled with the Holy Spirit. one man’s leg was about 3 inches shorter than the other and he walked with a big limp but God instantly healed him while I prayed and he immediately began to walk straight. My interpreter said wow that’s amazing. This 82 year old woman was healed of many things including pain in the knees and other places. God healed her cataracts so she can see clearly after prayer. The movie The Green Mile was on TV last night. It is a good movie with Tom Hanks from the late Michael Duncan Smith as John Coffey a innocent man with a gift of healing wrongly convicted and sentenced to the electric chair. As I was watching it, I realize that I had just as great and many more miracles in each of my three services yesterday then they showed in this wonderful movie. Cancers were healed, tumors disappeared, cataracts disappeared, many were healed of various knee and back pains. Its too bad the world doesn’t understand or believe the power of God available to His servants today through the power of the Holy Spirit. Over the past couple of months I have seen an incredible amount of people who were sick and suffering, their bodies wracked with pain and disease and sometimes twisted horribly by them. It is mind blowing and I’m seeing things I never thought of as people come to me desperate for a miracle. My heart goes out to them. Thankfully almost all of them are healed if not instantly or after a few minutes of continued prayer. One night while looking at so many desperate people looking for God to heal them I was reminded of something A.A Allen wrote in his autobiography. It was an exaggeration but he said he had seen so many terribly sick people who were suffering incredibly that it would be enough to make Satan aghast at his own handiwork. This entry was posted in WALTER'S WEB and tagged Apostle Keith Barr, AWESOME, christianity, FAITH, GIFTS OF THE SPIRIT, HEALING, HOLY SPIRIT, JESUS CHRIST, MIRACLES, THE BAPTISM OF THE SPIRIT, VICTORY, VICTORY MINISTRIES, WALTER KAMBULOW, WORD OF FAITH on June 29, 2015 by WALTHOPE. Matthew 11:5 The blind see and the lame walk; the lepers are cleansed and the deaf hear; the dead are raised up and the poor have the gospel preached to them. If we simply ceased to exist at death and if there was no hell, I still believe that Jesus would have come to earth and died for us. Why, because salvation is about having a relationship with God. God’s main reason for sending Jesus was to restore fellowship. It just so happens that as we restore our relationship with God through salvation, one of the perks, one of the great benefits, is that we miss hell and gain heaven. Did you know that Jesus never preached on being “born again”? In the third chapter of John, He talked to Nicodemus about the spiritual birth compared to the natural birth, but He never taught or preached to the people about being “born again.” You may be asking yourself, “How can Andrew say that? That’s the centerpiece of every evangelistic effort.” You’re right, it is, but I believe the Bible teaches that the church has placed the emphasis in the wrong place. By making that the focus, we are actually lowering the standards, leaving people with the misconception that all they need to do is just be born again and discipleship is optional. That is not what Jesus commanded us to do. Statistics tell us that thirty-three percent of all “born-again Christians” still support things like abortion and New Age thinking. That certainly does not reflect the attitude of a person who’s truly been born again. Billy Graham was quoted as saying that only fifteen percent of all the people who professed to be Christian are truly born again. Here is something else that may surprise you: Katherine Kuhlman said that only fifteen percent of those who were healed at her services kept their healing when they left the service. These numbers should tell us something about how we measure success in ministry. I am not saying that being born again and living eternally with Jesus is not important; it’s essential! I’m saying that we have changed the message from the way Jesus taught it. We have reduced the definition of “born again” to the point that in our society today, it has actually become socially popular to say you’re born again and gain acceptance in certain circles. Jesus said that we are to make disciples, followers of Christ. When we ask people to accept Jesus as their Savior, we need to teach them that this is a total commitment of one’s life to the Lord. It means becoming a disciple of Jesus. It says that Jesus did not commit Himself unto them although they believed on Him. The word “believe” and “commit” are actually the same word in the Greek here. So you could say that they believed on Him, but He did not believe in them. He knew they were not disciples. He wouldn’t commit Himself to them, because He didn’t want man testifying out of their own ability. When we hear that someone has been born again, we are ready to put them to work, especially if they are public figures with name recognitions. It’s like we are trying to sell a product by associating it with someone famous. That totally violates what Paul said in 1 Timothy, chapter 3, concerning placing a novice in a position of authority. These are the kinds of shortcuts believers resort to when they limit the true definition of being born again to a simple confession of Jesus as Lord. Mahatma Gandhi once said, “I would have been a Christian if I hadn’t met one.” Before leading the revolution in India, he was exiled in Africa. There, he was seeking the Lord, reading the New Testament. He had become convinced that Christianity was the true religion and that Jesus was the Christ. He decided to attend a Presbyterian Church service for the purpose of confessing Jesus as his Lord. But because of the color of his skin, they wouldn’t let him in. Those people who were so determined to evangelize did not have enough of the nature of God on the inside to look past his color. Gandhi then led 750 million people into a pagan religion. On a trip to India some years ago, I learned there were 12,000 Methodists in the city of Ahmedadad, the result of a great revival in the 1890s. When I asked the head of the church in that city how many were truly born again, he responded by saying there were only two or three families. The rest were still worshiping other gods. All they had done was added Jesus to their list of gods to make sure they didn’t miss one. They were obviously not disciples. To those in India, Jesus was just another of the thousands of gods. That is not God’s idea of evangelism. We often say that if you know the truth, the truth will set you free. That is not correct. More correctly, these verses say that when you continue in the Word, then you will know the truth, and the truth you know sets you free. In these verses, Jesus was speaking to those who already believed on Him. Jesus knew that only those who became disciples would truly become free. There is more to believing than just mouthing words. Consider this: If you evangelized 1,000 people per year for fifteen years, you would have 15,000 new believers, assuming they were all genuine conversions. If you led 1 person to the Lord every six months and spent the next six months discipling that person so they could reproduce themselves, what do you think would happen? In one year there would only be two new Christians. However, after twelve years, if each continued to reproduce themselves every six months, there would be no one left on earth to evangelize. Jesus’ method of discipleship would have produced nearly 6 billion disciples in less than thirteen years. Discipleship Evangelism works! I really believe that the church has missed it in the area of evangelism. We have been making converts and not disciples. By now, you may be thinking, “Andrew is right, but I have no idea how to disciple anyone; that’s best left to those who are more knowledgeable in the Word of God.” Well, I have good news: If you can read, you can change a life! My good friend and associate minister for over thirty years, Don Krow, has developed a discipling tool to help you fulfill God’s command to go and make disciples. Don has entitled it Discipleship 101, but I call it “Discipling for Dummies.” It’s simple, it’s easy, and it’s effective. It’s made up of thirty-four powerful real-life stories. All you do is read a short story, ask prepared questions, give the prepared answers, and watch God work in the life of another. You can’t miss with this. I believe it will be a big blessing. This entry was posted in WALTER'S WEB and tagged christianity, FAITH, FULL GOSPEL, GIFTS OF THE SPIRIT, HEALING, JESUS CHRIST, THE LAME WALK, VICTORY MINISTRIES, WALTER KAMBULOW, WORD OF FAITH on June 28, 2015 by WALTHOPE. 9 but to wear sandals, and not to put on two tunics. 10 Also He said to them, “In whatever place you enter a house, stay there till you depart from that place. Even the word salvation is misunderstood. Evangelical Christianity says that salvation is a one-time occurrence, an experience when your sins are forgiven. That’s true, there is a moment when you pass from death to life, but that is not all that happens. It’s an incomplete definition. Salvation isn’t limited to the initial born-again experience. James 5:14-15 vividly illustrates how salvation includes both healing and forgiveness of sin: “Is any sick among you? let him call for this elders of the church; and let them pray over him, anointing him with oil in the name of the Lord: And the prayer of faith shall save [sozo] the sick, and the Lord shall raise him up; and if he have committed sins, they shall be forgiven him” (brackets mine). Romans 1:18-19 says, “For the wrath of God is revealed [not going to be, but already is revealed] from heaven against all ungodliness and unrighteousness of men, who hold the truth in unrighteousness; Because that which may be known of God is manifest in them; for God hath [past tense] shewed it unto them” . Do you need to be healed? The power for healing is in the Gospel. Do you need to be prospered financially? The power for financial prosperity is in the Gospel. Do you need to be delivered from the power of demonic influence, from depression, from yourself, or from something else? The power for deliverance is in the Gospel! The Gospel is the power of God. It’s “nearly too good to be true. This entry was posted in WALTER'S WEB and tagged christianity, FAITH, FULL GOSPEL, GAVE THEM POWER, GIFTS OF THE SPIRIT, HEALING, HOLY SPIRIT, JESUS CHRIST, VICTORY, VICTORY MINISTRIES, WALTER KAMBULOW, WORD OF FAITH on June 28, 2015 by WALTHOPE.